Sacramento, CA – Assemblyman Jeff Gorell (R-Camarillo) today congratulated Charles Giacchi on his appointment to the Governor’s Military Council, and thanked Governor Jerry Brown for including a member who is experienced with Ventura County’s large and unique military community. “I was pleased to be able to nominate Charles Giacchi and to work with the Governor to address the need to have an appointee from Ventura County on his military council,” stated Assemblyman Jeff Gorell. As the founder and principle partner of Strategic Management Partners, Charles Giacchi is intimately familiar with the important military bases located in Ventura County. 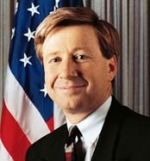 In his 40 years of managing large and complex enterprises, Mr. Giacchi has also served as the Technical Director of the Naval Surface Warfare Center (NSWC), the Product Area Director for Surface Ship Combat Systems at the NAVSEA Warfare Center, and the Executive Director of the Port Hueneme Division of the NSWC. Mr. Giacchi began his career as an engineer with Lockheed Electronics, and his education includes a BS in Engineering Technology from Chapman University, and an MS in Systems Engineering from the University of Southern California. Mr. Giacchi was selected for membership in the Senior Executive Service (SES) in 1997, and was a 2006 recipient of the Distinguished Executive Presidential Rank Award, as well as numerous awards within the Navy and NAVSEA. “On July 1 Californians will be forced to begin paying the highest gas taxes in the nation. They have a right to be angry and demand explanation from their elected officials. “The goal of the fuel tax swap wasn’t good tax policy. Instead, its sole purpose was to allow the Legislature to move more than a billion dollars in gas tax revenues into the state’s General Fund. “I voted against the fuel tax swap. I also voted against the 3.5 cent rate increase that takes effect July 1. “Although the Board of Equalization must implement the law as written, a certain amount of discretion comes into play. Most of the July 1 increase is based on uncertain projections of future gas prices. 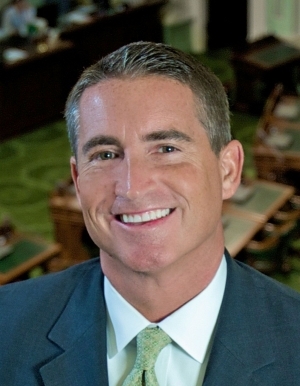 TUESDAY, JUNE 25, 2013 - 6:30 P.M.
VENTURA, CA - State Assemblyman Jeff Gorell, who established the Gold Team California initiative to retain and attract employers to Ventura County and the state, earned this year’s Workforce Investment Board (WIB) Champion for Prosperity Award. Gorell will be among five 2013 WIB Award recipients who will be recognized at the WIB’s annual meeting on June 20 at the Ventura County Office of Education. The annual awards in four categories, are given to individuals, employers and organizations in the community who have played an important role in building a strong workforce in Ventura County. The WIB Champion for Prosperity Award is presented to an individual or organization for supporting workforce development in Ventura County through job creation, job retention and business expansion or attraction. In addition to creating the Gold Team, Gorell has advocated for approval of a federal permit to test unmanned aerial vehicles at Navy Base Ventura County (NBVC). If the permit process is successful, it will result in thousands of jobs to the region. "California has advantages that most states can only dream about, including our highly educated workforce, a gateway to Asian markets through our West Coast ports, abundant natural resources and a healthy infrastructure," says Gorell." However, we continue to lose jobs to less appealing states because we are not fighting hard enough to keep those jobs in California. The California Gold Team brings elected officials together with business and labor leaders, working to find common sense solutions to our regulatory burdens and to highlight our state’s competitive advantages." For his work on behalf of Ventura County’s youth and overall workforce development, Captain David Sasek at Naval Base Ventura County received the WIB Leadership Award. The award recognizes someone who embodies the spirit and purpose of workforce development in Ventura County--a role model who takes on and solves workforce challenges. Sasek helped form and is currently chairperson of the NBVC Education Outreach Working Group of 80 tenant Commands on the Base. The group's goals are to inspire interest in science, technology, engineering and mathematics (STEM) disciplines by minority students in local schools. Under Sasek's leadership, the Base offers six-to-nine-week internships and has established programs and partnerships with local elementary, middle and high schools. "I believe STEM education outreach is critical to the future of our nation's economy," says Sasek. "Encouraging our children to pursue higher education studies in these rapidly-growing, currently underserved areas will help us reduce or eliminate our nation's deficit in STEM related fields. Equally important, doing so will create career opportunities for these youth in growing fields for life-long productive employment." The WIB Youth Opportunity Award is presented to an organization for providing internships or employment opportunities that help grow and strengthen Ventura County's future workforce. This year, there were two winners. The Port of Hueneme is one of the award recipients. In April 2012, The port proposed a Global Trade and Logistics class for junior and senior students in the Oxnard Union High School District. The class just completed its second semester with an enrollment of 16 students. The program provides an overview of global trade and logistics supply chains and a relevant curriculum so students understand the job skills necessary for the industry. The second award winner is the Ventura County Medical Center and Santa Paula Hospital’s Auxiliary. Under the direction of Debbie Hill, the director of volunteer services for both hospitals, more than 80 youths participate in internships at the hospitals. "Our student volunteers develop a sense of confidence while working in our healthcare setting," says Hill. "They bring with them enthusiasm and an eagerness to expand their knowledge. We all take pride in the fact that we have made a difference in the lives of these young people." The WIB Collaborative Action Award goes to Tavi Udrea, global training and development director for Haas Automation, Inc. in Oxnard. The award is for partnerships that help meet employer needs, improve the relevance and capacity of education and workforce training or supports business expansion in Ventura County. Udrea has played a key role in organizing the Manufacturing Roundtable of Ventura County, created by the WIB in 2012 to strengthen the manufacturing base in Ventura County. He also works with the K-12 school system and community colleges to host student visits to Haas Automation and actively encourages other businesses to help raise the visibility of manufacturing careers in the county. "Ventura County is fortunate to have workforce visionaries like Mr. Udrea who, behind the scenes, are actively growing our workforce and strengthening our local economy through training, educational opportunities and business retention efforts,” said Alex Rivera, director of human resources at Clean Diesel Industries, Inc. and WIB Chair. "They are making a real difference in the lives of thousands of current and future workers." “The Legislature should be commended for approving an on-time budget and exercising some measure of restraint. “However, the success of this budget hinges on the decisions of a very small number of overtaxed Californians, their continued presence in California and their success in the stock market. “According to the Franchise Tax Board, the highest one percent of income earners will pay more than $2 billion less in 2013 than 2012. That’s not surprising. A recent survey found 75 percent of affluent Californians are planning actions to reduce their tax liabilities—and a quarter are considering moving out-of-state. “It’s troubling that the volatile personal income tax accounts for 63 percent of budget revenue. Just one percent of California taxpayers now provide nearly half of all income tax payments the state receives. Wednesday, May 15, 2013 7:00 P.M. The Fillmore City Council unanimously determined Tuesday, April 23, 2013 to fill its current Council vacancy by appointing a citizen to the seat, and is inviting interested persons to apply for the position. Citizens have until Tuesday, May 7th at 4:00 p.m. to file an application and FPPC 700 Form with the City Clerk’s office. Applications and 700 Forms are available at Fillmore City Hall at 250 Central Avenue and on the City’s website www.fillmoreca.com. The resident appointed must be at least 18 years old, live in the City limits and be a registered city voter at the time of appointment. They will be appointed to complete a term that will conclude after the November 2014 City Council elections. The person selected will occupy the seat held by Eduardo Gonzalez, who announced his resignation from the City Council by letter dated April 15, 2013. Citing health reasons, Gonzalez’s resignation took effect immediately. The City Council is expected to interview candidates and make a decision on the appointment at its May 14th regular meeting. The City Council chose to fill the vacancy by appointment rather than calling for a special election. City staff informed the Council that calling a special election would cost an estimated $18,000. For more information on the application process, please contact Deputy City Clerk, Diana Impeartrice at 524-1500, extension 211. Sacramento, CA – The Senate Natural Resources Committee today approved SB 135 by Senator Alex Padilla (D-Pacoima). The vote was 9–0. The bill would require the development of a comprehensive statewide earthquake early warning system in California. The measure now goes to the Senate Appropriations Committee for consideration. About 90% of the world’s earthquakes and over 80% of the world’s strongest quakes occur along the Pacific Ring of Fire. The Ring of Fire includes the very active San Andreas Fault zone here in California. Japan, Taiwan, Mexico, Turkey, Romania, Italy and China either have or are working on earthquake early warning systems. Specifically, SB 135 would direct the Office of Emergency Services, in collaboration with the California Institute of Technology (Caltech), the California Geological Survey, the University of California Berkeley, the United States Geological Survey, and others, to develop a comprehensive statewide earthquake early warning system in California. The initial cost estimate for the system is $80 million. Sacramento, CA – Legislation to freeze the fees and tuition paid by students in the UC and CSU public universities today passed out of the Assembly’s Higher Education Committee with bipartisan support. Assembly Bill 67, introduced by Assemblymember Jeff Gorell in January, was recently combined with higher education legislation by Assemblymembers Kristin Olsen (R-Modesto), and Rocky Chavez (R-Oceanside). The legislation was written to help ensure that the revenue raised through the recent Proposition 30 tax increases is prioritized for education, as promised in the campaign. Over the past decade, tuition and fees for students attending California’s public universities has risen dramatically as the legislature repeatedly underfunded higher education. AB 67 addresses this by calling for a freeze in the tuition and fees that students pay, and tying the freeze to a commitment to increases of 5% per year to higher education in the 2013-14 and 2014-15 budgets, and increases of 4% per year in 2015-16 and 2016-17. The Ventura County civil Grand Jury is now accepting applications for the 2013-14 year. If you are interested in serving, you will have until April 15, 2013 to submit your application. To get more details about the mission of the Grand Jury, and to view previous years’ reports, please visit our website: http://grandjury.countyofventura.org. You can also get an application at this site and fill it out on-line. If you would prefer to fill out a paper application, please call us at 805-477-1600, and we will mail you one. The Grand Jury is an investigatory body created for the protection of society and the enforcement of the law. Its goal is to ensure government agencies within our County are doing their best to serve the public in a cost-effective manner. If you have ever wondered about how you might contribute to your County, now is your opportunity to participate. The Grand Jury is available for speaking engagements throughout the County. If you would like to request a speaker for your organization, please contact: Judith Cohen at 805-477-1600. Assemblyman Jeff Gorell will be continuing his series of “Sidewalk Office Hours” where he looks forward to meeting with constituents and discussing their concerns. For additional information, please call Jeff's district office at (805) 230-9167. Oxnard, CA - Assembly Member Jeff Gorell (R-Camarillo) today introduced Assembly Bill 248 that directs appropriate state agencies to collaborate with local authorities to study, evaluate and report back options related to the future of the two natural-gas-fired electrical power plants located at Mandalay Bay and Ormond Beach in Oxnard, California. The bill would also evaluate options related to replacing one or more of the plants with a modern, low profile, low carbon footprint facility. Built in the 1970s, the power plants at Ormond and Mandalay Bay are among the oldest and most outmoded natural gas-fired power generators in the state. While recognizing the top priority of the community is to preserve energy reliability and maintain regional system integrity, the bill’s stated intention is to determine what policies, legislative actions and other federal, state and local incentives, if any, could synchronize with the interests and contractual obligations to the current facility owners/operators, to effectuate the ultimate retirement of one or both of the two power production facilities and return the property to control of the City of Oxnard, County of Ventura, State of California, or some other responsible entity for preservation as a natural resource in the California Coastal Zone. The bill requires that the report is to be completed and returned to the Chair and Members of the Assembly Committee of Utilities and Commerce by January 1, 2015. Ventura County, CA – At the request of local veterans groups and Seabee boosters, Assemblyman Jeff Gorell (R-Camarillo) today introduced Assembly Concurrent Resolution 18 to rename a segment of Pacific Coast Highway 1 as “Seabee Memorial Highway”. The section of highway between Mugu Rock and the City of Ventura would be designated in honor of the men and women who have served and sacrificed throughout history while serving in the U.S. Navy Seabees. Gorell will be working with the Navy Base, supporters of the local Seabee Museum, and the local community to bring attention to the heroism of our Navy Seabees and the role of Ventura County and its Navy bases in training and deploying Seabees. Port Hueneme has been the home of the Pacific Seabees since World War II; and the local Navy bases are the largest employer in Ventura County. Seabees continue to play a major role in the war on terrorism. In support of Operation Enduring Freedom, Seabees repaired runway facilities at Camp Rhino and Kandahar in Afghanistan. Seabee battalions have rotated deployments through Helmand Province Afghanistan to work with Marines to build roads, clinics, schools and other infrastructure that will help provide independence and transition farmers off the opium industry that fuels Taliban and insurgent operations. The cost of renaming and signage to dedicate the “Seabee Memorial Highway” will come entirely from independent, private funds, and not from public sources. CAMARILLO, CA - Ventura County Supervisor Kathy Long will serve as the Economic Development Collaborative-Ventura County’s 2013 board chair with Sim Tang-Paradis of City National Bank as vice chair. The two were installed at EDC-VC’s 16th Annual Meeting on Jan. 17. As a public-private partnership, EDC-VC connects the two sectors to promote communication and shared agenda for a prosperous Ventura County. The organization annually alternates its board leadership between a public-sector representative and private-sector one. Ventura County Supervisor Long is currently in her fifth term as the Third District representative, serving as chair in 2000, 2005 and 2010. She has been on EDC-VC’s board since the organization’s inception in 1996, and served as board chair in 2001. She is a former small business owner and is an active member of several community service and business organizations, co-chairing RDP-21, the Regional Defense Partnership for the 21st Century at the Naval Base Ventura County. Tang-Paradis joined EDC-VC’s board in 2010. As vice president and manager of City National Bank’s Oxnard banking office, she oversees delivery of the bank’s financial products and services, including commercial, consumer and real estate loans; cash management; international banking and foreign exchange. SACRAMENTO – George Runner today urged the Franchise Tax Board to reverse a controversial staff decision seeking millions in retroactive taxes from California entrepreneurs and small businesses. “As an elected official and taxpayer advocate, I cannot remain silent while state tax officials punish California taxpayers who in good faith followed our laws,” said Runner. Three “Thought Leaders” will be featured at a major speaker panel and discussion from 9:30 a.m. to noon Sat., Feb. 9, hosted by the League of Women Voters of Ventura County. The public is invited “to bring friends, listen to Thought Leaders, and discuss the issues,” said Nell McCombs of Ventura, League representative. This event will be in the Santa Monica Room at Courtyard by Marriott, 600 S. Esplanade Dr., Oxnard 93036. The $5 donation includes a Continental Breakfast. No reservations are needed. Moderator will be Barbara Doyle of Santa Paula. JOE MATHEWS, Co-author of “California Crack Up: How Reform Broke the Golden State and How We Can Fix It,” on how we got here, with one of the longest constitutions in the world, and what can be done.
. Now a contributing writer for LA Times and other prominent media outlets. CAMERON SMYTH, Former Assemblyman (R-38th), who represented Eastern Ventura County, on the role of the Legislature in the initiative process: why do so many issues end up on the ballot and what can be done? KATHAY FENG, Executive Director of California Common Cause (CCC) and a civil rights attorney, on the process of qualifying propositions for the ballot and ideas for reform. registration, campaign finance reforms, among other good government issues.